And Yagarí believed that to be true – until 2007. That year, a newborn Emberá girl died due to complications caused by FGM in a remote part of the country, and, unlike in many other such cases, the doctor who treated her decided to report it. The story made national news, stunning not only the majority of the Colombian population – but of the Emberá themselves. The secrecy surrounding the practice, which was soon revealed to be long-standing and wide-spread, had been so profound that most Emberá men said that they were entirely unware it occurred, and even women who had suffered FGM themselves reported that they did not know they had been cut – until the birth of their first daughter. “By that time, I was a lawyer working with the Emberá,” says Yagarí. And after the news broke, she immediately dedicated herself to eradicating the practice among her people. Approximately 250,000 Emberá live in Colombia. And while the silence surrounding FGM has made exact figures hard to come by, according to Yagarí, as many as two out of three Emberá girls are subjected to the procedure. Globally, an estimated 200 million girls have suffered FGM, which is defined as all procedures involving partial or total removal of the external female genitalia for non-medical reasons. The procedure can immediately result in shock, haemorrhage and potentially deadly infection, and over time, often leads to infertility or complications in childbirth that increase rates of newborn death. FGM is most prevalent in 29 countries in Africa and the Middle East, but as global awareness around the issue has grown over the past decade, FGM has increasingly been reported throughout the world, and it is now known to also be common in several Asian countries. The Emberá are the only group in Latin American currently known to practice FGM, and its origin among them remains murky. But one thing remains certain – it is the silence around FGM and the lack of accurate information regarding its risks that perpetuate this human rights violation. 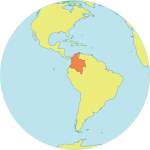 In 2008, Yagarí began working with UNFPA, the Colombian government and indigenous authorities to provide that critical information and eliminate the procedure. The UNFPA-sponsored intervention among the Emberá aims both to educate midwives and other indigenous health workers and to inform communities about FGM’s extreme medical risks and complete lack of medical benefit. It has been successfully carried out in two Emberá communities. However, Emberá are found in 17 departments and 124 municipalities in Colombia – and in areas of Ecuador and Panama – and most of these communities have remained resistant to allowing outsiders in to talk about this sensitive issue. But progress is occurring. In 2012, Emberá leaders signed an agreement officially banning the procedure. And in 2015, the anti-FGM intervention was successfully established in eight additional communities. In one of these communities, Risaralda, four deaths caused by FGM were reported in 2014 alone. Last year, thanks to the programming, there were none. In addition, indigenous authorities have reported that after women are informed of their rights through the intervention, they feel empowered to also stand up against other issues, including gender-based violence and an unfair distribution of workload between men and women. Internationally, studies show that when rates of education among girls increase, rates of FGM and other forms of discrimination go down.